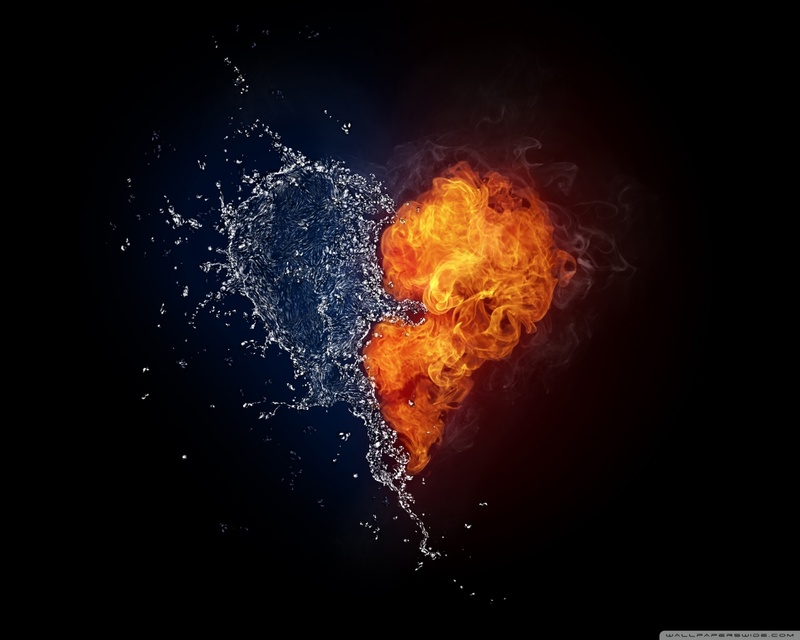 Hot and Cold دل. . HD Wallpaper and background images in the Random club tagged: random fire water heart. This Random wallpaper might contain آگ, شعلوں, نرک, and آگ کے شعلوں سے پراسرار.